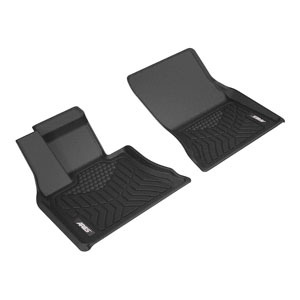 Keep your vehicles interior protected and clean with ARIES StyleGuard floor liners. ARIES floor liners are manufactured with OmniGrip or Maxpider fibers for the ultimate defense for your floors. With a triple-layer defense and custom-molded fit, you can ensure your interior is protected while still maintaining an appealing look. 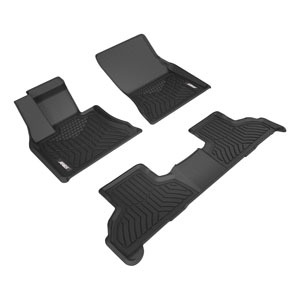 StyleGuard floor liners are vehicle-specific as they are laser-measured and molded to fit your vehicle exactly. The triple-layer defense begins with the bottom layer where the fibers are designed to create thousands of contact points and can grip all types and styles of carpet. The second layer is the XPE foam which makes the floor liners waterproof, sound-insulating, shock-absorbent, and thermoplastic to give you a comfortable and durable ride. The final layer of defense is the thermoplastic rubber (TPR). 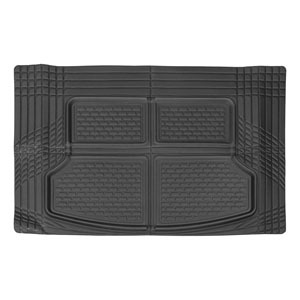 The TPR layer is waterproof and provides strength while being flexible so your floor mats can resist wear over time. ARIES StyleGuard floor liners can be found for the first row, second row, third row, and cargo area of many vehicle types, makes, and models. Protect your ride with a durable and ultra-defensive ARIES StyleGuard floor liner. 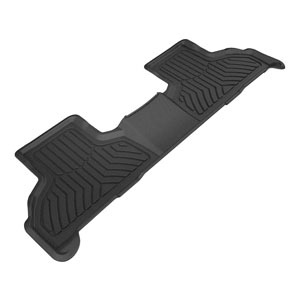 Use our Vehicle Selector to easily find just the right Floor Mat for your vehicle's make and model.